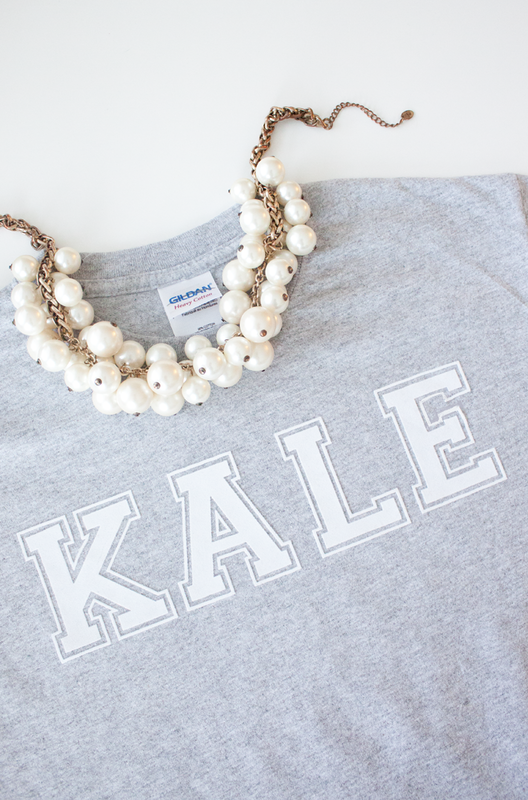 Beyonce can do no wrong, so when she slaps the word 'Kale' on a sweatshirt and flails around a balcony in her underwear, you follow suit — DIY style. I love how quick and easy this one is, not to mention the fact that it's a total conversation starter. Bonus? It can also act as a last-minute gift idea if need be... oh the possibilities. 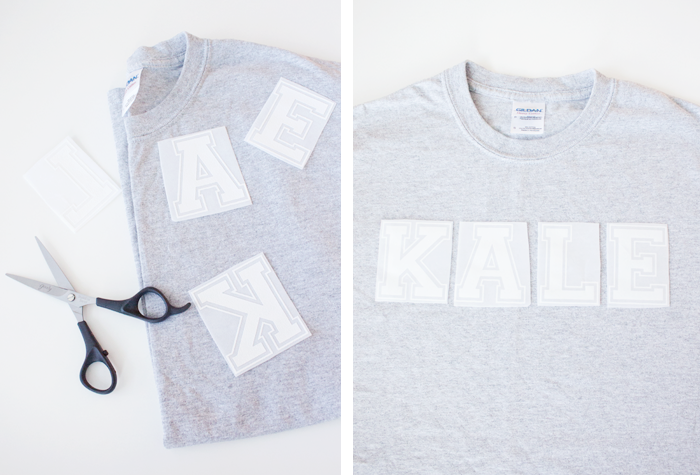 Start by cutting out your letters and arranging them on the t-shirt with the adhesive side down. 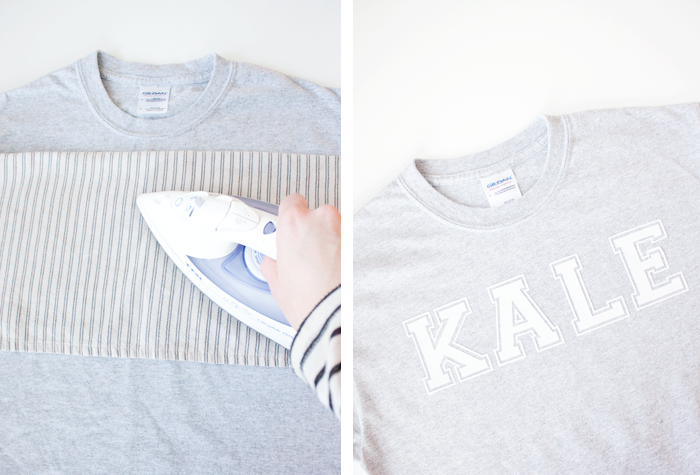 Cover the letters with a cotton cloth, then turn your iron on to its wool setting. Gently iron over the covered letters for several minutes (the package instructions say one minute, but mine needed significantly longer), making sure to go over the edges carefully. 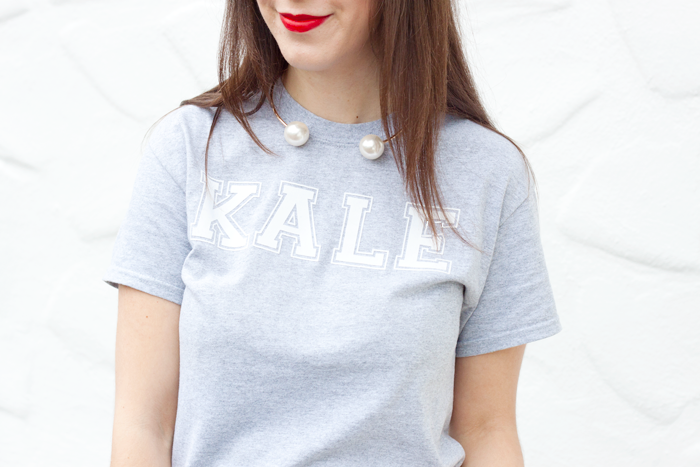 I've been desperate to get my hands on one of these for months (Yale/Kale??!!) - I never even thought of making one myself (probably because I'm terrible at that sort of thing) but it's such a good idea and yours came out brilliantly. 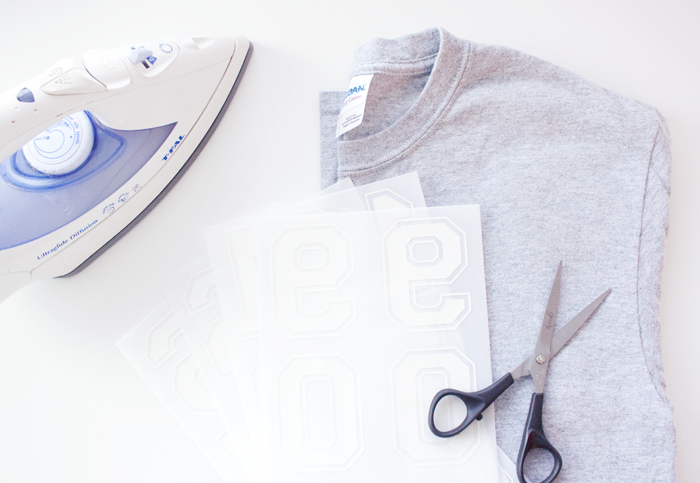 Can I ask you where you bought the iron on letters?